Founded in 2013, Pivotal Software, Inc., combines our leading cloud-native platform, tools, and methodology to empower the world’s largest organizations to adapt, to change and build great software. Our technology unleashes developer productivity, while fulfilling our mission to transform how the world builds software. We are looking for a high-performing, software sales professional who will identify and bring to closure Pivotal product and services opportunities. You are CEO of your territory, and responsible for generating net new business, growing relationships with existing accounts, and leading a balanced account team. Success in this role requires the same characteristics our most successful customers have in common; customer-focus, collaboration, and a drive for continuous improvement. 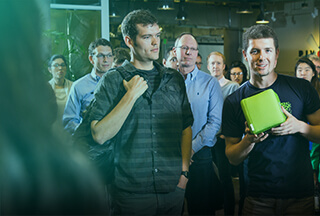 Pivotal Sales has a unique opportunity to help some of the biggest brands in major industries create new digital experiences and rediscover the power of software by using Pivotal Cloud Foundry, Pivotal Labs, and Pivotal Data. We are seeing a surge in demand from clients in the Southeast who are transforming their software delivery capability and building cloud-native applications to drive customer engagement, and building out a team to support the market opportunity. Interacting with C/VP/Director-level contacts and your internal balanced account team, you will be helping Fortune 1000 enterprises drive their digital transformation strategies.